Okay, I admit it - I'm late to the party on this one. 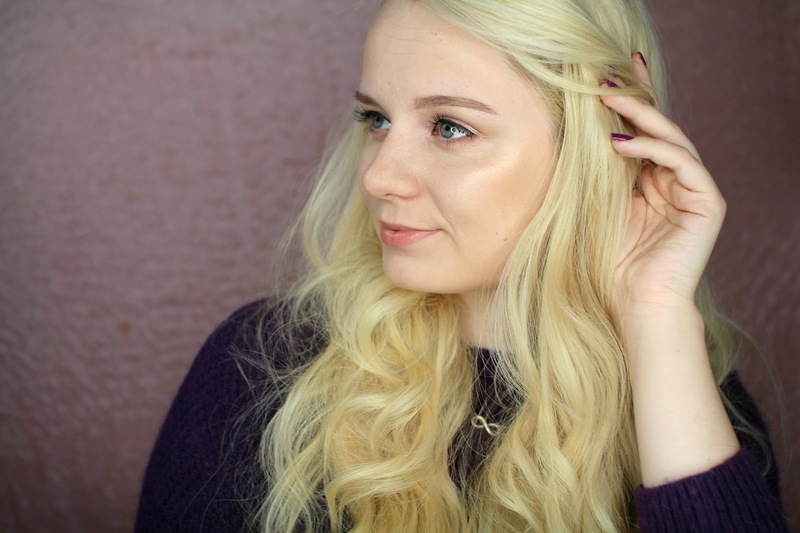 Obviously, I've heard and seen all the hype around this product, but in the beauty community that happens a lot and sometimes some products don't live up to the high expectations they're given. 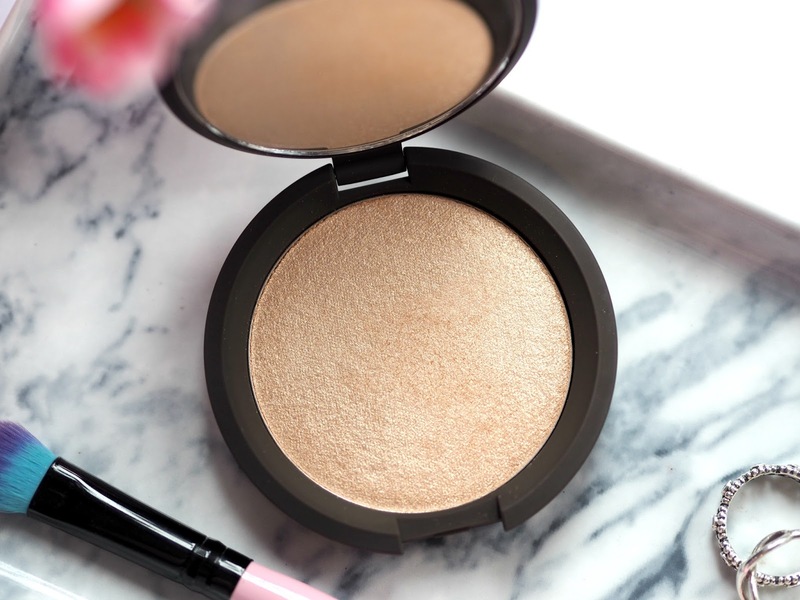 The product in question is the BECCA x Jaclyn Hill Shimmering Skin Perfector in the shade Champagne Pop. 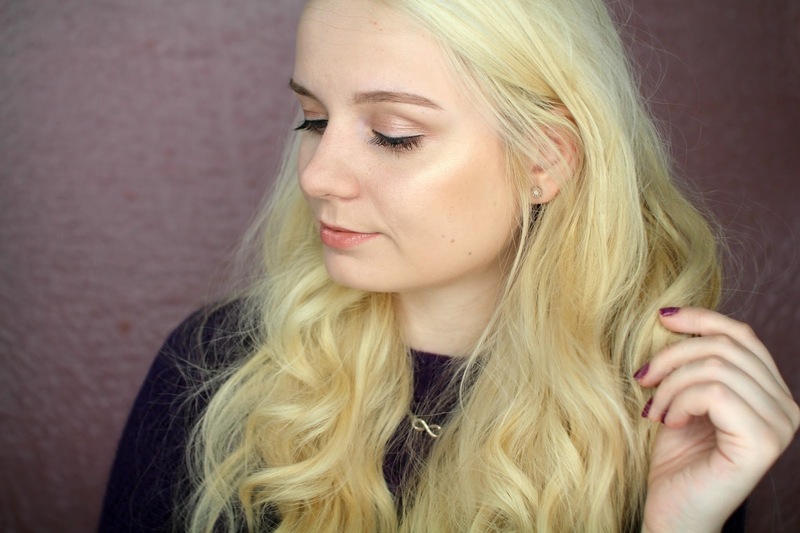 With that being said, here is my honest opinion - this is the best highlighter I have ever owned (and maybe ever will?!) I really didn't know what I was missing out on! 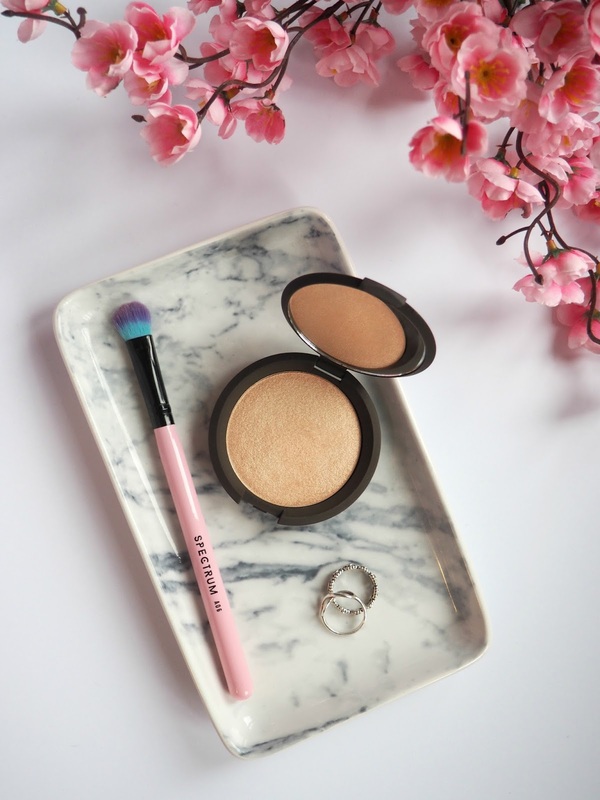 The colour of Champagne Pop is described as an 'apricot-gold' which is a beautifully accurate. 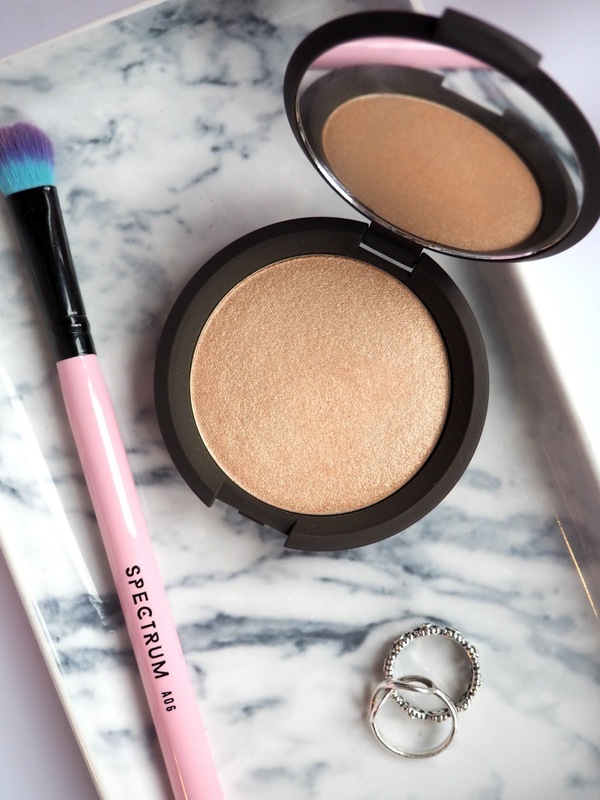 The formula is really smooth and creamy and the pigmentation of this highlighter is second to none. 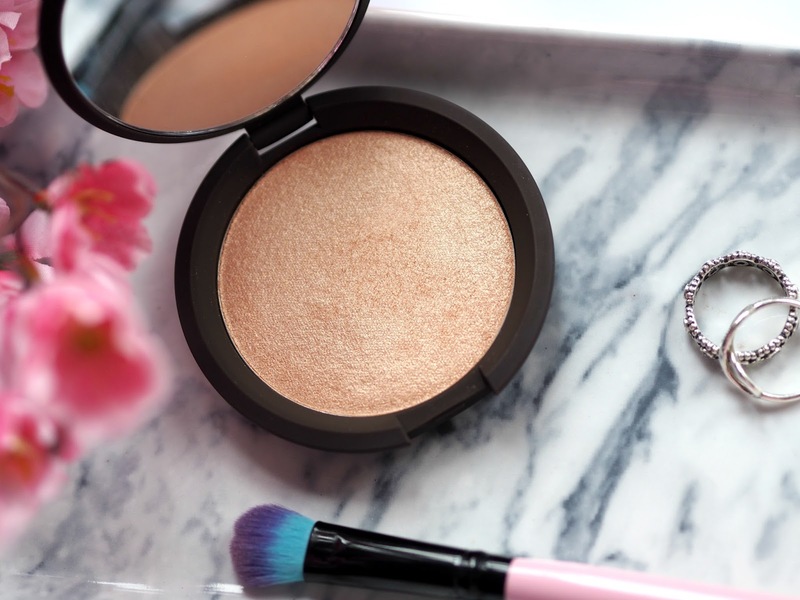 The tiniest dab of this powder can illuminate your whole face! 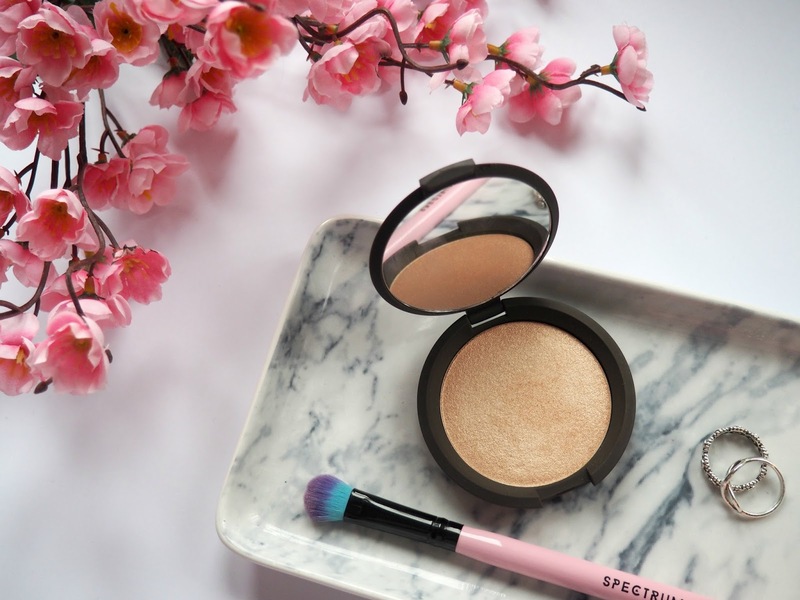 Although in the packaging it looks very glittery (which is fitting considering it's a shimmering skin perfector) it translates as a much more glowly sheen on the skin which I really love. There's no denying that this highlighter is intended to be more evening appropriate, but I can't help but use it everyday. 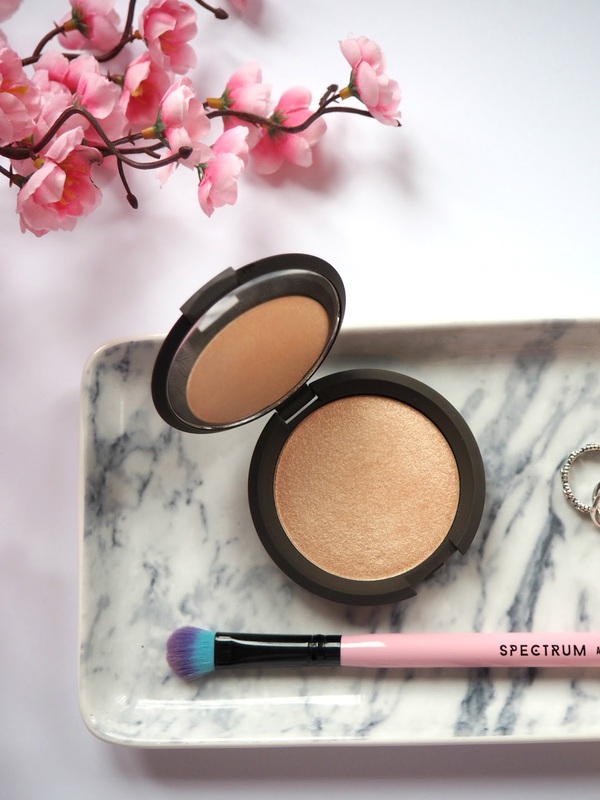 To tone it down just a tad for my everyday look, I like to use the Spectrum AO6 brush to target the tops of my cheekbones and under my brow bone. 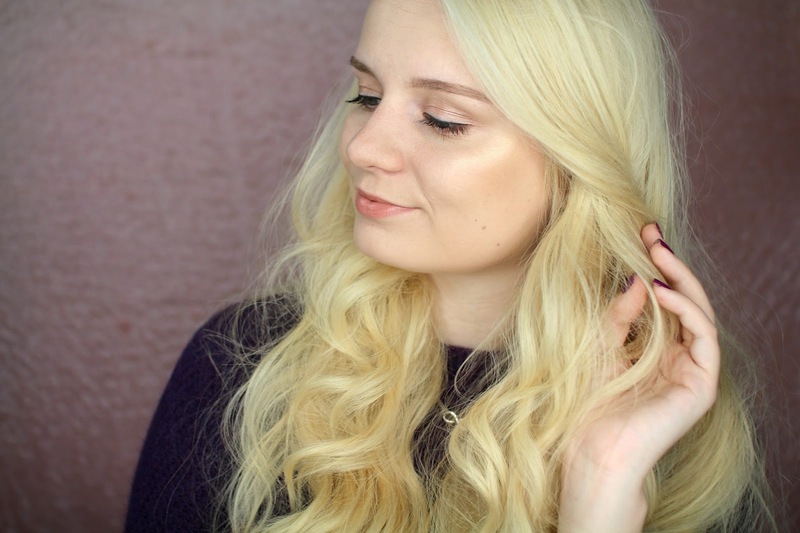 This brush is perfect for the job because it's small but also fluffy to give a more natural blended look. Well done Jaclyn Hill, you created a winner here! Now I just need to make sure I don't drop it - I have this horrible habit of dropping every highlighter I own and I really don't wanna see this one smashed into little pieces! R.I.P to my MAC Soft & Gentle and my Mary Lou Manizer highlighters.